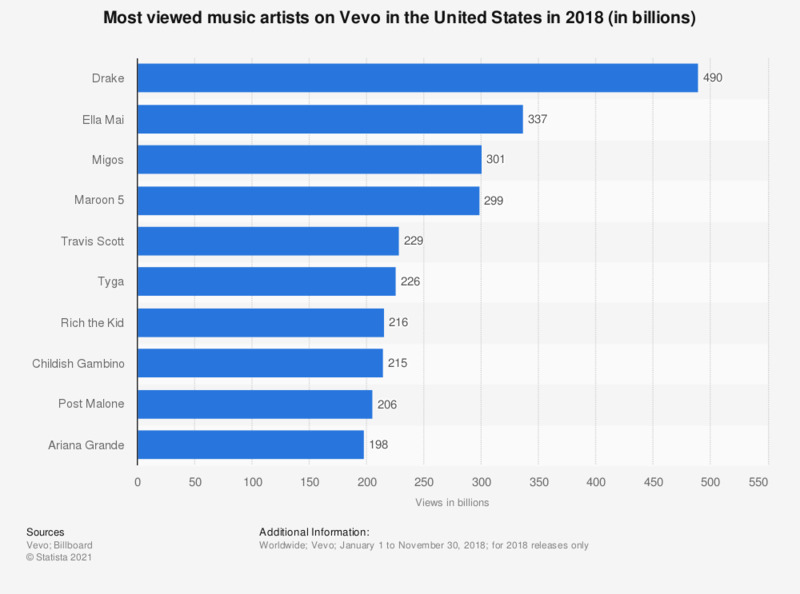 This statistic displays the most viewed music artists on Vevo in the United States in 2018. The most viewed artist of 2018 on the platform for releases in that year was Drake, who had 490 million views on Vevo in the U.S. throughout the year. Ranking second was Ella Mai with 337 million views in 2018, followed by Migos and Maroon 5 who had 301 and 299 million views respectively.